If your idea of a pet stretches beyond the ordinary choice of a dog or cat, then you have probably grown interested in getting an exotic or pocket pet. A pocket pet is pretty much any animal that will fit in a pocket, while “exotic” refers to any animal not normally domesticated and kept in the household. A small lizard, for instance, would count as both an exotic and a pocket pet. Exotic/pocket animals that attract pet owners include birds, mice, rats, hamsters, gerbils, rabbits, lizards, snakes, turtles and other fascinating creatures. But while you can find many of these animals in pet stores, you may not know where to seek skilled veterinary treatment and pet wellness care for them. Fortunately, you can find that skill and training right here at Trilby Animal Hospital. The more unusual the animal, the more unusual his veterinary needs may be. For example, the sugar glider -- a small marsupial with a wing-like membrane that allows him to glide from tree to tree -- often suffers from nutritional deficiencies when fed common pet-store fare. These creatures eat eucalyptus sap and insects in their natural habitat, but that doesn’t mean you can simply feed them sugar and protein. Their diets require a precise balance between calcium and phosphorus to ensure good health. Rodents may love to nibble on the nuts you feed them, but they will become grossly overweight if you feed them nothing else. Turtles may only eat the food you give them when the temperature reaches a certain level. Our animal hospital can provide professional advice on exactly what and how to feed your pet. 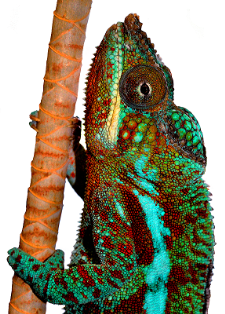 Exotic and pocket pets may be extremely vulnerable to environmental challenges. Small birds such as canaries can be fatal with minute concentrations of cleaning agents or other airborne chemicals that might never bother a dog or cat. Snakes may get caught in the skin they are trying to shed, with the unshed portion cutting off circulation to the tail. And just like dogs and cats, non-traditional animals can suffer fractures, cuts, tumors and a wide range of viral or bacterial illnesses. Few facilities have a veterinarian with the proper training or experience to cope with these situations -- but our animal hospital does. Whenever you purchase any new exotic or pocket pets, bring them to Trilby Animal Hospital for important pet wellness care and advice. Either veterinarian at our clinic, Dr. Moore, will make sure your pet is healthy, provide any necessary treatment, and counsel you on how to feed, house and care for your new pet properly. We can also work out a pet wellness schedule to keep your new exotic and pocket pets healthy and happy for life. Contact our office at 419-474-5403 to schedule an appointment for your pet today.